Man, I used to LOVE The Transformers back in the 80s! I had a bunch of the toys, and still do actually. CliffJumper was the first one I ever got, traded a friend for him. Next I got Prowl simply by being in the right place at the right time, as I found him just laying on the ground one day while I was out with my parents looking through various model homes. He was missing all of his weapons, but that didn't matter to me. The first store bought Transformer came when I was in Colorado, and was the Constructicon Scrapper, which my grandmother bought me while I was sick with the chickenpox. Yeah, I can remember all that, but ask me what I had for dinner two nights ago and you'll get nothing but a blank stare... so Transformers were some kind of special. So now they have this new 25th anniversary release of the original series. The classic 'toon has been released before on DVD, but that version cost like $60! I could see easily paying that for the complete series, but there's no way I'd drop that kind of cash just the first season by itself! Thankfully, this new one is only like $20, and it's still able to include some extra features. A note in the little booklet that comes in this set states that the prior releases were actually missing some animation that was present in the original broadcasts, and that they were able to find and reinsert the animation for this 25th anniversary release. To that I say good job! But still, I would have loved them to do even more corrections, since there are plenty of errors found all throughout this season. When I say mistakes, I'm not talking about plot holes and inconsistencies (even though there were a bunch of these) since there's not really any way to correct those without rewriting and reanimating the episodes. No, what I'm referring to are errors like dirty film, animation mistakes, and incorrectly colored characters. Like there's this one scene where two Starscreams are standing right next to each other (one should be Skywarp or Thundercracker), and then another scene where Cliffjumper is colored yellow so he looks like Bumblebee, even in that scene they are trying to communicate through comms with Bumblebee. 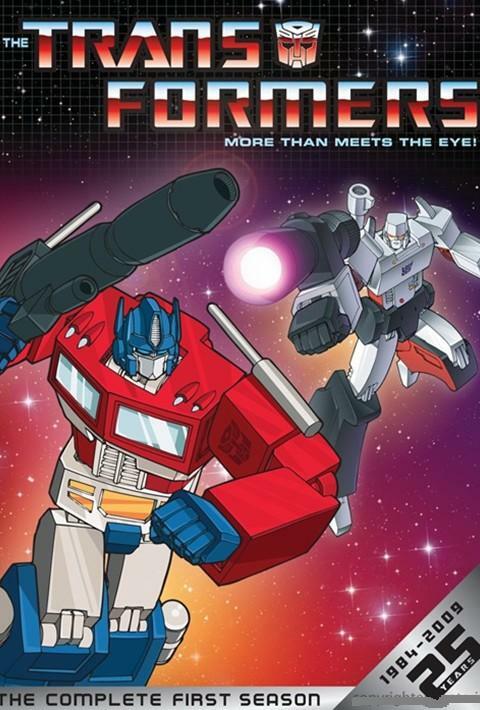 These coloring screw ups happen a bunch, but then there's also animation mistakes, such as when Optimus Prime's mouth is moving while he's looking straight at a comrade right next to him, yet it's a character off screen who is actually speaking to both of the Autobots. While those mistakes could have easily been fixed (okay, so maybe not easily, but surely doable), fixing the plot holes and inconsistencies of the lore would be completely impracticle. Remember the episode where the Decepticons discover Skyfire, and we get a flashback of Starcream and Skyfire millions of years ago exploring Earth... well, how come they had the form of human-style jets rather than their own Cybertronian form? That's definitely a mistake! Oh, and did you know that Autobots can fly? Yeah, so exactly when and how did they lose that ability? And if they could fly, why didn't they fly all the time instead of driving? Then there's a bunch of times where the giant robots end up in the water, and yet they can swim and float like humans... so they're about as dense as water? WTF? And how were the Autobots able to build Dinobots and bring them to life without Vector Sigma? I could go on and on about everything that doesn't make sense, but you get the point. And it doesn't really matter that it can be picked apart until the cows come home, because The Transformers are just freakin' cool and entertaining to watch. I don't know, maybe that just has to do with my childhood memories, but the show was hugely popular, spawning many more series and now two live action films, so it's gotta be more to it than that. My guess is that it lies somewhere within the characters. I love how all the characters have their own, unique personalities, but the one that always bugged me was Starscream. He wanted to be leader of the Decepticons, and he had no trouble making this known to anybody, including the current leader, Megatron. Why in the world would you make it known to your leader that you think you could do a better job than he? And why did Megatron keep this fool around, much less make him second in command? Even as a kid that never made sense to me. Seems like they could have been much more subtle, having Starscream discreetly take advantage of opportunities rather than being so obvious about it. As for extra features, there's a third disc that has a featurette about how The Transformers came about, from starting off as a general idea based on various lines of Japanese transforming toys to creating a whole backstory and teams and a good versus evil conflict. It was kind of interesting, but would have liked them to delve even more into specifics, like showing the original concepts and whatnot. That's the only really worthwhile extra. Others are things like a printable script and a public service announcement and commercials. Oh, and there's also an Autobot symbol magnet, which could go on the fridge or your car, but it's black in white instead of the more typical silver and red or red and white. If you're a fan and don't already own the first season, I'd say this is worth the money.